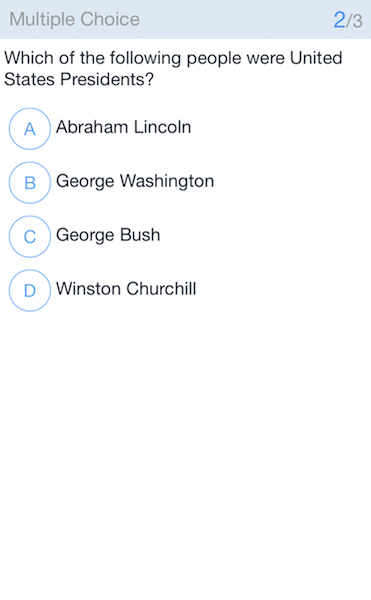 MTestM is an exam creator application that allows you to create, take and share exams. Creating an exam has never been easier. You can add different types of questions on an Excel spreadsheet. The spreadsheet should conform to the below general format. You cannot change the labels for the exam and the column headers for the questions. 3. Enter a single choice question. Explanation : It’s used to explain why the answer is correct. It’s optional and only appears to the exam taker after he/she answers a question. This is how the question looks like in the app. Please note that by default the app randomizes the order of all choices. If you want to fix the order of all choices, please set Type to "Fixed choice" or "FC". 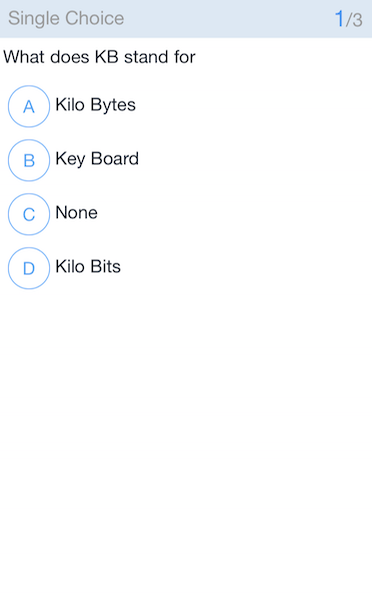 In Answer cells, you can type one or more correct answers for the question, separated by “||” or “|||”. This is how the question looks like in the app. By default, answers for the fill-in-blank questions are not case-sensitive. You can make the questions case-sensitive if you want. Type: The type of the question. 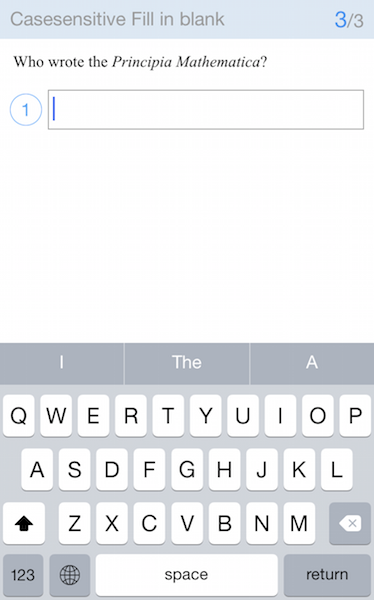 If it’s blank, the app will determine the question type for you. 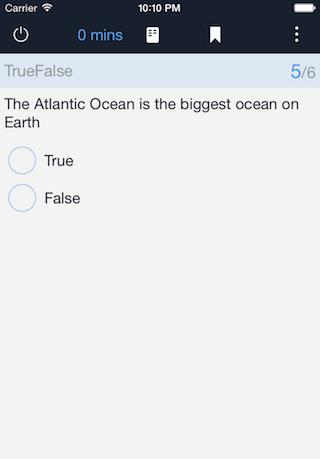 A true or false question contains a statement and asks the person taking the test if the statement is true or false. There are no other responses. If you don’t set points, the grade is based on the percentages of questions the test taker gets right. Points: The point/points for the question the test taker gets if the answer is correct. Answers can be entered into the blanks in any order. unordered blank or unb: Case insensitive fill-in-blank question with unordered answers. unordered case sensitive blank or uncb: Case sensitive fill-in-blank question with unordered answers. Multiple choice question has two points. the first is the point the test taker gets if he/she selects all correct choices. the second is the point the test taker gets if he/she selects part of correct choices. fixed multiple choice or fmc: Multiple choice question, fix the order of all choices. 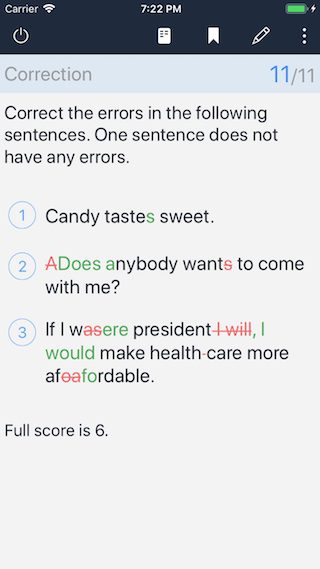 A correction question contains one or more sentences. These sentence might contain more than one error. Options: The sentences containing one or more mistakes.